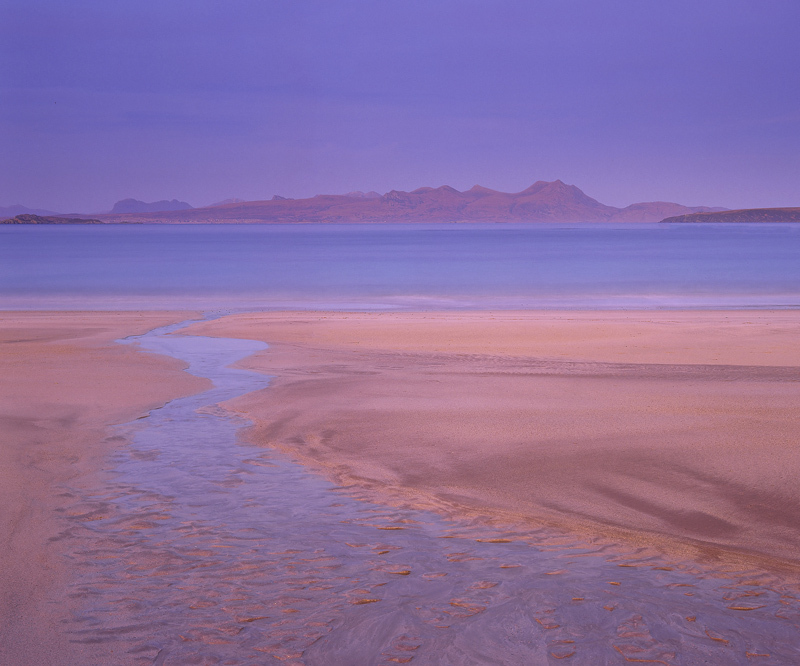 These extraordinary colours on Mellon Udrigle beach and the mountains of Coigach and Assynt are absolutely genuine and quite surreal in their intensity. They come from a quite outstandingly lurid red sky directly behind my camera position with the sun already set, hence the shadowless nature of the light. The sands of Mellon are red tinged under normal lighting, but the light has exaggerated that hue many fold and together with the opposing hues of twilight the colour contrast is very rich.